Hello! 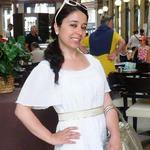 My name is Seda and I'm a teacher of both English and Turkish living and working in Spain. DISCOUNTED PRICES FOR LONG-TERM STUDENTS!!!!! My hometown is Antalya and I am a native speaker of Turkish. I speak proper and clear Istanbul Turkish (this is the most common dialect of Turkish) If you're looking for a teacher who's devoted, attentive and fun, you've come to the right place. I never come to a class empty handed and always make sure my students are engaged, entertained and learning. 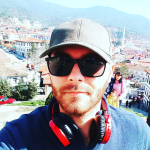 Whatever your level in Turkish (or English), I can provide you with a casual, open environment where you feel comfortable to experiment with the language you're learning. Hope to see you soon! :-) *************************************** Türk vatandaşıyım. Antalya doğumluyum fakat İspanya'da yaşıyorum. İspanya'da bir okulda İngilizce öğretmeni olarak çalışmaktayım. Türkiye'de yaşadığım dönemde çeşitli üniversitelerde okutmanlık yaptım. Genellikle hazırlık öğrencilerine İngilizce reading&writing skills dersi vermekle birlikte, bazı dönemlerde de Tıp, Mühendislik, Hemşirelik, Hukuk Fakültelerinde English for Specific Purposes dersi vermek üzere görevlendirildim. Bu sebeple İş İngilizcesi konusunda çok tecrübem var ve bu tecrübem nedeniyle kimi şirketler beni kurumiçi seminerler vermek üzere davet ettiler. Bu vesile ile tanıştığım iş dünyasında sayısız seminer verdim. Bu çalışmalar kurumiçi meslek ingilizcesi seminerleri olarak tanımlanabilir. Yıllarca akademik hayatın bana öğrettiği bir şey varsa o da insanların İngilizce dersine bir 'öğrenilmiş çaresizlik' hali ile yaklaştıkları gerçeğidir. Bu hali kırıp öğrenciyi ilk yıllarındaki azimli ve kararlı haline döndürmek ise biz öğretmenlerin birincil görevidir. Hazırlık ve başlangıç seviyesi derslerimde öğrencilerin dersten keyif almaları için gereken tüm hazırlıkları yapıyorum. 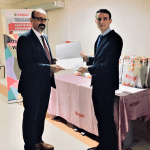 Bu derslerde öğrencilerime kuru kuru ödev vermek yerine, onlara keyif alacakları aktivitelerle harmanladığım çalışmalar yaptırmaya gayret ediyorum. Dersi görsellerle, videolarla, ilgi çeken makalelerle ilginç hale getirmeye özen gösteriyorum. Bu yolla öğrenci İngilizce öğrenmeyi bir iş olarak değil, bir zevk olarak algılıyor ve derslerimiz keyifle geçiyor. Benim için bitmesi istenmeyen ders başarılı geçmiş bir derstir. İngilizceyi çok sevmeniz ve onu hayatınızın değişmez bir parçası haline getirmeniz dileğiyle. Hi All, my schedule is up-to-date. Merhaba! I am currently doing my PhD in Teaching Practices in the U.S. I have been teaching Turkish and English for the last 10 years. 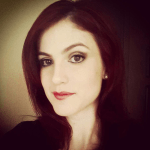 I am a graduate of Foreign Language Education Department, and I have a masters degree in Curriculum and Instruction. Hello, I studied in the field of International Trade, I ve been teaching Turkish for almost 4 years now. I`ve been to over 20 countries so far that l can somehow find a part from your culture. My classes are based on feedback system. I mostly prepare a feedback document regarding your mistakes in Turkish at the end of our class that gives you the confident while you are speaking in Turkish. The way l follow in my sessions, *Playing games in Turkish so that you easily improve your vocabulary, *Doing unexpected quizes in the sessions from the previous sessions, so that you remember all the things we ve done. *Reading daily news in Turkish / English and discussing it. *According to your level, we choose an article, read and talk about it. Also practically we do some pronunciation exercises in there. Merhaba! This is a certificated mother-tongue teacher of Turkish language and culture, currently in Ankara. I have been working with three different language schools in Istanbul, and with three in Rome. I completed a program for teaching Turkish as a foreign language at the Marmara University in Istanbul. 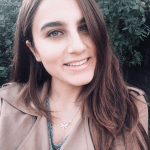 I am also the Turkish language delegate for Directors Languages based in the UK, and a member of the Turkish team for Innovative Language Learning headquartered in Japan. I have built an exclusive method for Turkish teaching, being a self-language-learner myself. The lessons are adjustable for any kind of journalistic, touristic, romantic, gastronomic, linguistic, scientific, artistic, religious, historical, cultural, commercial purposes; any level from hello to Ottoman poetry; background of any other language, way of learning, means of learning in person or via the Internet, and age. My spectrum of students expands from children to the CEOs. Instructions can be in English, Italian and Japanese. If you are interested, contact me kindly. I hope that we can discover this beautiful language and culture together! Teşekkürler! ~Experiences~ *Writer of Turkish Language and Culture Innovative Language Learning Tokyo, Japan / 2012 - *Lecturer of Turkish Language and Culture Berlitz Language School Rome, Italy / 2014 - *Lecturer and Instructor of Turkish Language and Culture Concept Languages Istanbul, Turkey / 2015 - *Instructor of Turkish Language and Culture Directors Languages Maidenhead, UK / 2016 - ~Subjects~ *Turkish for beginners Although you are not sure how to say hello in Turkish, my methodology will get you learn all the fundamentals of Turkish language within 15-20 seances. *Conversational Turkish ^Have you already learned the basics but want to put them in practice in order to fasten your speech, correct your pronunciation, or use your abilities in diverse circumstances? ^Are you rather interested in touristic Turkish to provide an efficient communication during your visits in Turkey? You are welcome! ^Otherwise, you may have a good knowledge in Turkish already, and look for some occasion in action depending on your interests? We can talk about anything you might like. Some of the popular themes I encountered so far are: -Turkish dramas & romance -Ottoman history -Turkish cuisine -Shopping at Grand Bazaar -A medical visit to a hospital in Istanbul -Turkish classical music & poetry -Touristic destinations & communication in Turkey -Politics and Turkey's stand for international affairs -Sufism philosophy and Christianity in Turkey -Social and gender prospects -Or any other needs/interests of yours! *Intensive Turkish It is fine if you want to follow up a frequent program, or want to have an advanced level of context. *Turkish as a Subject ^Do you have a curriculum for Turkish at an international school or university? ^Are you a foreign student in Turkey? I am experienced in both. *Business Turkish I have taught to CEOs from diverse international companies in Istanbul. *Turkish for Children More colorful lessons with children's music and images! I am quite comfortable with children being an elder sister to both boys and girls. *Turkish Literature ^Are you a fan of modern authors like Orhan Pamuk and Elif Şafak? ^Are you interested in classical writers and poets like Mehmet Akif, Ömer Seyfettin, Nazım Hikmet? ^Do you want to understand the humanism of Mevlana and Yunus Emre? 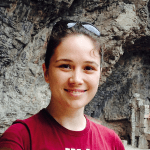 ^Are you curious about ancient Turkic myths from Central Asia and Dede Korkut? Me, too! *Turkish for Professionals From business to literature, whatever your focus is.